We are pleased to initially offer the following 2 convenient and affordable VOW Ceremonies. ​The Virtual Celebrant performs a real-time VideoCall VOW Ceremony using software-generated decorative frames, photo, video, or simply natural backgrounds as the couple prefers. ​a) 2 x Pre-Ceremony VideoCall sessions: The first (approx. 30-45 min. long), anytime before the main ceremony date, for short intros, briefing and setting up the couple's preferences. The second (approx. 5 min.) right before the ceremony for a final check of lighting, sound and positioning. 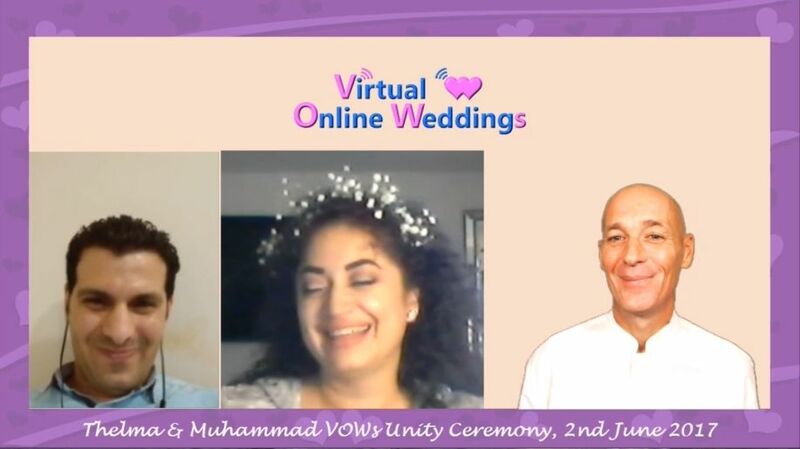 ​The Virtual Celebrant performs a real-time VideoCall VOW Ceremony using green screen (chroma key) effects to bring the couple realistically into the ceremony scene – with their choice of background. ​a) 2 X Pre-Ceremony VideoCall sessions: The first anytime before the main ceremony date, for short intros, briefing and setting up the couple's preferences (approx. 45 min. long). The second (approx. 5 min.) right before the ceremony for a final check of lighting, sound and positioning. Fast internet speed – if your internet speed isn't fast the video will be choppy and the Virtual Celebrant cannot smoothly apply green screen effects to it. A SOLID background behind you – bright green or blue are usually the best colors. You can use a proper green screen or even hang or drape some material behind you. Ideally nothing on your body should be the same color as your background. A good camera – At least 720p; there are quite a few affordable external webcams (e.g. by Logitech) that meet this standard. That said, many higher-end smart phones also have high quality cameras nowadays. You will need bright lighting! It can be sun from a big window or even better several floor/table lamps placed nearby around you. 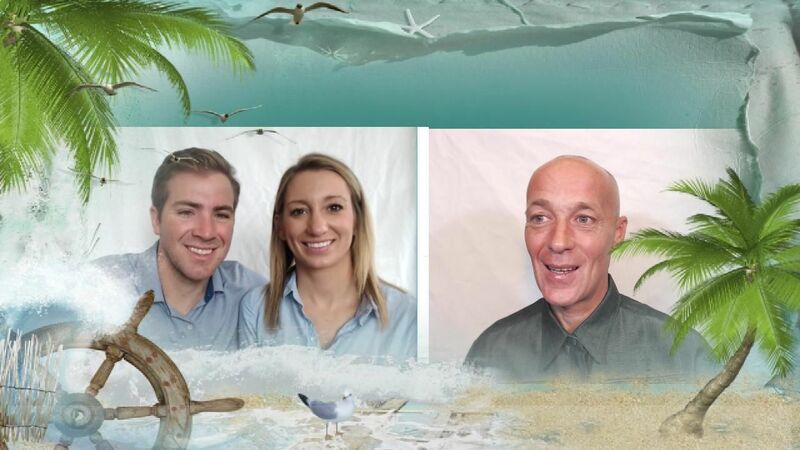 If your image is not very well-lit, the Virtual Celebrant cannot smoothly apply green screen effects. 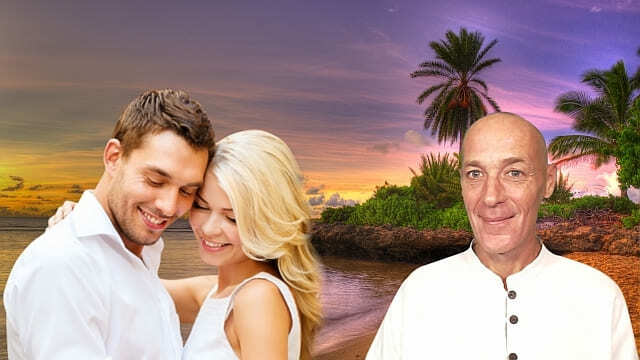 *If you are in a difficult or emergency situation which makes affording our VOW Ceremony pricing difficult, just drop the Virtual Celebrant a quick message to this regard – he's a bit of a softy for loving people who could use a helping hand. ​Note that we also offer a standing 10% discount for First Responders (police, fire fighters, paramedics, Coast Guard and Search & Rescue personnel), as well as Veterans and active Service Members for all VOW Ceremonies. If any of these apply to you, just let us know during your initial inquiry. ​Then of course there is also the difference in planning and time investment – so besides being fun and less stressful, Virtual Online Weddings & Renewal of Vow ceremonies are affordable and convenient – try one now, the world can always use some more love in the air!